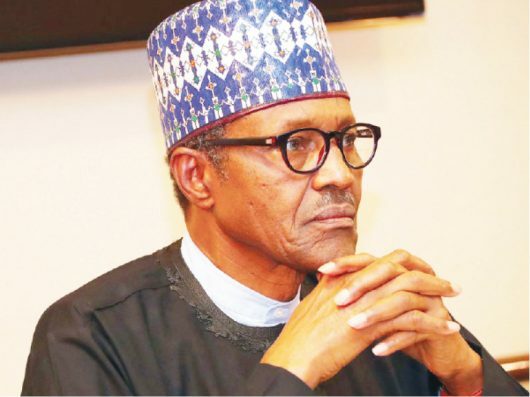 As the 2019 general elections inch closer and as President Muhammadu Buhari sets out to canvass for votes from Nasasarawa state citizens as part of the ruling party’s nationwide presidential campaign tour, the question on the lips of analysts is whether he can break his seeming electoral jinx in the state. Buhari has never won elections in Nasarawa state in all his four attempts to be president. He lost the 2015 presidential election in Nasarawa state to PDP’s Goodluck Jonathan, although he won the nationwide popular votes against his rival thereby emerging president of the federal republic of Nigeria after four attempts for the presidential slot. In 2011 when he contested under the banner of his Congress for Progressives Change (CPC), the party’s governorship candidate (incumbent, Umar Tanko Al-makura) emerged victorious in Nasarawa state (making him the CPC’s sole governor in all 36 states between 2011 to 2015) while Buhari himself lost in Nasarawa state. Both the chairman of the APC in the state, Chief Phillip Tetari Shekwo and the state’s Information Commissioner, Alhaji Jamil Zakari insist that what happened in 2015 regarding outcome of the presidential election in the state would not repeat itself this year. In a telephone interview with this writer Chief Shekwo said that the results would be different this time around. He stated that President Buhari would get over 70 per cent of the presidential votes that would be cast on February 16, in Nasarawa State. Said he, “It does not mean that when you don’t have majority votes, you have not won election. There is a statutory 25 per cent that is required of each contestant. He has always had this in Nasarawa state. I can assure you that apart from this, Buhari is going to have the majority votes, over 70 per cent”. Information, Culture and Tourism Commissioner, Alhaji Zakari reechoed Chief Shekwo’s optimism when this writer put same question to him, ‘Buhari has never been known to win in Nasarawa State, will it be different this time around?’ “Yes, definitely, you can count on that. I want to assure you that we have done all the groundwork to ensure that our people are properly mobilized; in fact they have themselves decided that they need to partner with the president this time around. The federal government’s presence is felt in Nasarawa State and the reward for such good works is for the people to ensure he succeeds at the polls”, Zakari remarked. Giving reasons for Buhari’s past losses, the commissioner attributed it to manipulation, noting, “They just wrote results and ask you to go to court; but it is no excuse; we ought to have made sure we protected our votes. We did not lose in 2015, our votes were cancelled but we let it go for the sake of peace”. He continued, “I need to emphasize that 2019 will be totally different; people have been properly mobilized on the need to work together with the federal government. The case of the reelection of the president is settled in the sense that we have seen from opinions and polls, from the body language of the country, his opponents have not been able to make any inroads; we have seen that Buhari’s popularity has been widening; we have seen that there is a lot of enthusiasm among Nigerians to ensure that this election is peaceful and that the president wins comprehensively”. According to the Nasarawa State APC chairman, Buhari’s campaign train to Nasarawa is important because it affords the president an opportunity to tell the people of the state what he had done in the last three and half years and what he intends to do in the next four years “that we will give him”. A former chairman of the Nasarawa State Universal Basic Education Board and now a chieftain of the Buhari Support Centre, Abuja, Alhaji Abdulkareem Abdullahi commenting on the president’s visit to his home state in another telephone chat, warned the president against ‘fake’ supporters. “It is a good omen that people are going to receive him in Nasarawa. We must learn that democracy is a voluntary choice, it can never grow otherwise, and integrity has been the major attribute that has made Buhari an enduring product; the people in the system do they have the same quality of integrity? We must revive integrity as the template for leadership. Any other thing is camouflage; we must put an end to masquerade dancing and give the real people the opportunity they had fought for. Are we addressing the needs of the needy? The youths who are the arrow head of this change, what is their place now, are they being served? Hypocrisy has always been the bane of our politics. We must call a spade a spade”. Alhaji Abdulkareem who was a strong member of the CPC that later coalesced into the APC and who played a significant role in giving it direction in Nasarawa state, maintained, “All I am saying is that we must shine our eyes in that gathering. Yes, Buhari like you said never won in Nasarawa state. What are the prospects? After the victory of APC during the elections, the mantle of leadership that was secured was handed over on a platter of gold to the PDP moles. The real masses who are the ones that made Buhari’s victory to be real have been ignored. People who do not mean well for Buhari, people who are not pro-change, who are not for the masses have come up. All I am saying is, let Buhari try to know his true, genuine supporters… So let us begin to do the right thing… Buhari himself has no problem as a person… it is the people surrounding him, who have hijacked the system. They ran away from PDP because they were defeated and could not realize their aspirations. Let us be careful, it is not the crowd that matters but people in the crowd. We know how we got the people that are still pro-Buhari”.